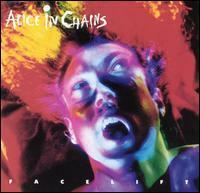 Facelift is the debut studio album by the grunge/metal band Alice in Chains. The album was released on August 21, 1990. The album has been certified double-platinum by the RIAA for shipments of three million copies in the United States.